"We're fighting for our rights to have our own union in this business"
The Communication Workers Union has raised the prospects of "more strike action, for longer periods". The rhetoric is heating up after Royal Mail and post union bosses, who have been meeting at TUC headquarters this week, failed to reach an agreement. But reports suggest that talks between the two parties are ongoing and will continue on Friday morning. The second phase of the CWU's nationwide strikes started on Thursday, with almost 44,000 members striking. Further 24-hour strikes are due to take place on Friday and Saturday. 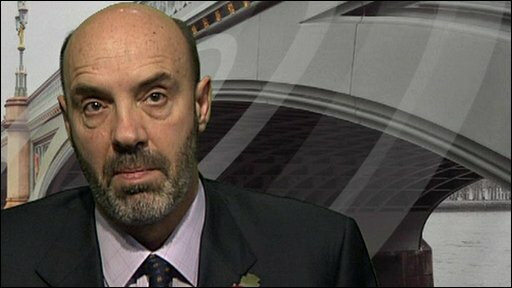 "I can see the strike action increasing now," CWU general secretary Billy Hayes told the BBC. "I don't think we're going to put up with this messing about." He said this could result in longer strikes. When did you last get post? Mr Hayes referred repeatedly to Royal Mail chief executive Adam Crozier, who over the weekend said that people should "shut up" about exaggerating the impact of the strike. "Our people aren't going to shut up, our people are very angry," he said. "I'm very angry at Royal Mail's attitude towards these talks." On Thursday, 43,700 union members in mail centres, delivery units in mail centres, network logistic drivers and garage staff are on a 24-hour strike. 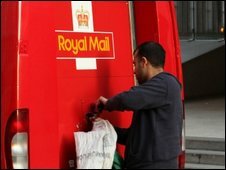 Royal Mail said they had been close to agreement on Tuesday evening but that on Wednesday morning the CWU had made fresh demands. "Early yesterday the CWU came up with a fresh set of demands, and we considered those and we were in fact at the TUC all day," Mark Higson, managing director of Royal Mail Letters, told the BBC. "But really in an extraordinary action, the CWU then decided to carry on calling the strikes, while those talks were in progress." Mr Higson said that his focus would now move to making sure that customers were affected as little as possible by the three days of industrial action. He said he hoped to have the backlog of mail cleared by early next week. On Friday, 400 workers at three sites in Plymouth, Stockport and Stoke, who assist mail centres by reading and entering mail addresses, are due to strike. Then on Saturday it will be the turn of 77,000 delivery and collection staff across the UK. "We're very frustrated and disappointed that we were unable to break the deadlock yesterday," Dave Ward, the CWU deputy general secretary, told the BBC. "We tabled a proposal at ten o'clock yesterday morning and we waited some eight hours for Royal Mail to respond to that proposal." Mr Ward declined to discuss the detail of the proposals. But he admitted that Royal Mail's hiring 30,000 agency workers to deal with the effects of the strike as well as the Christmas rush was part of the discussions. 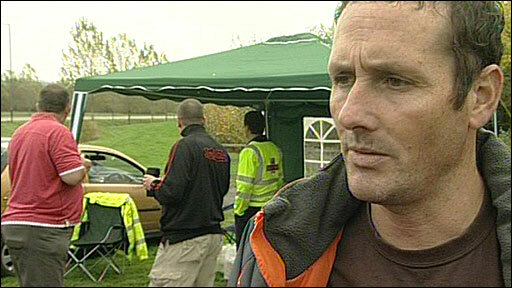 "It's not a sticking point, but it is an issue," Mr Ward said. Royal Mail has opened three back-up depots in Bristol, Raunds and Dartford, with two more to open soon. Mr Ward said the last three days had been "the most useful and productive discussions" since the dispute started. Those talks have been chaired by TUC general secretary Brendan Barber. The TUC head helped to draw up a deal that ended the last national postal strike two years ago. Union leaders have blamed Business Secretary Lord Mandelson and Royal Mail chiefs for the failure to reach a deal. Shadow Commons leader Sir George Young said the Prime Minister "appeared to have given up" and the "normally ubiquitous" Business Secretary Lord Mandelson had "disappeared". 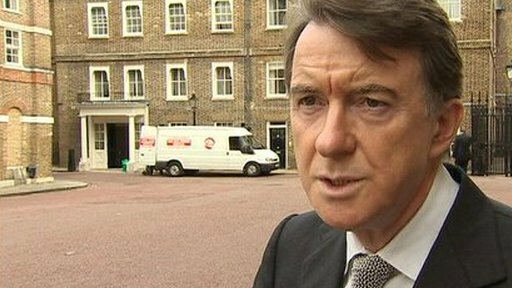 For his part, Lord Mandelson said he was "very disappointed that these talks broke down." "They seemed, yet again, so close to an agreement." Royal Mail says that it is trying to modernise, saying that letter volumes were dropping by 10% a year as people switched to other forms of communication such as emails and texts.